British festival-goers and bands are so used to wading around muddy fields that when it doesn’t rain it almost feels like something has gone wrong. However, despite some real quagmire’s in 2017 (Y-Not, Truck and Kendal Calling were all hit by bad weather to a greater or lesser extent) not every event has been a wash-out. Glastonbury had a mini heatwave in part, Latitude experienced a shower for just 10 minutes and last weekend’s Victorious Festival in Southsea, Portsmouth was non-stop sun from start to finish. It didn’t go unnoticed by many of the bands playing, with the likes of Frightened Rabbit, KT Tunstall and Bad Sounds all referencing how pleasant it was to play somewhere that wasn’t sodden and filthy. The unique selling point of Victorious is its price and situation. 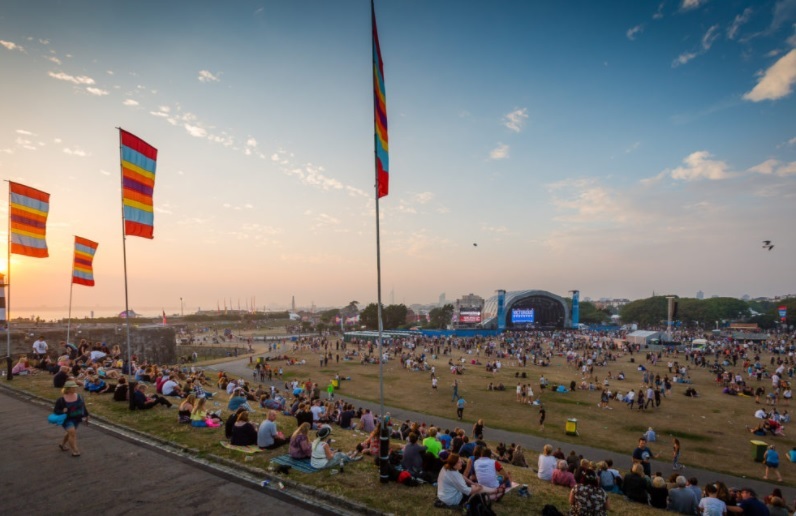 It may be a city event, but its location on Southsea Common, with stunning views of the sea plus a castle with a champagne bar inside makes it like no other festival. Tickets are sold on a per-day basis with early bird adults tickets retailing at just £25 a day and £20 for Friday. This cheap cost means it appeals to local residents and families as much as seasoned festival goers, so there’s a community feel to it, despite its size. 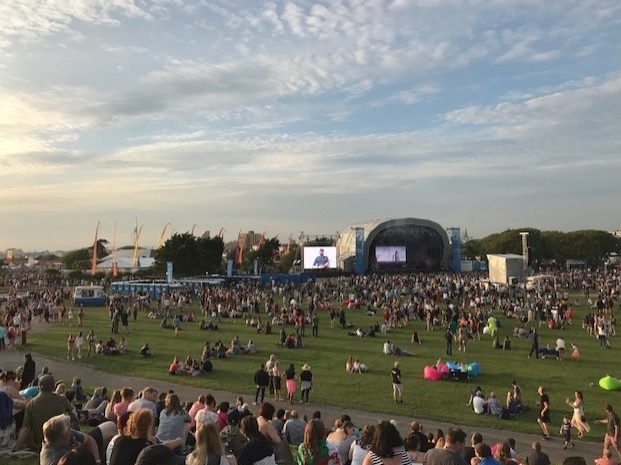 Grannies, parents, 20-somethings, teens and toddlers were all present with a line-up to suit all ages ranging from the likes of Elbow and Stereophonics to Olly Murs and Rita Ora. This year Victorious expanded from two days to add a Friday night opening party using half the site. Headlined by Madness and with solid supporting sets from the likes of The Charlatans and Sundara Karma the main talking point of the night was the very long queues for the bars at the Castle Stage which clearly couldn’t cope with demand, partly it seems due to poorly trained bar staff and a lack of planning for the inevitable peaks that an evening only event brings. However, this teething point aside apart from a few minor quibbles about the lack of visibility of water points, the organisation seemed very good. Performers ran exactly to time, the site layout allowed easy movement of people from stage to stage without bottlenecking, the toilets were well maintained with queues that were relatively short most of the time and there was a good variety of food stalls and for those with very small children good baby changing facilities with free nappies. The event was laid-back and friendly and due to the virtually flat mud free site was really easy to get around. Running on the same weekend as the now ever more eclectic Reading festival just 50 miles up the road, and considering the cheap ticket price, Victorious was never going to attract the strongest festival line-up in the UK, however there was still plenty of quality on offer to satisfy ticket holders. After Friday night’s opening party which saw Madness thrill with a hit packed set and a bunch of comedy quips from Suggs: “My wife’s out there tonight. I told her to wait in the van,” Saturday found the site initially filling slowly with the first band on the Castle Stage, Otherkin, playing to just a handful of punters. It was therefore a credit to the band that they pumped out their raucous indie rock ‘n’ roll as if they were in a packed small sweaty club, jumping off stage and encouraging the audience to dance. Later in the afternoon Lady Leshurr drew one of the biggest and most youthful crowds of the day to the same stage. “Make some noise if you’ve got clean underwear on,” she shouted, before getting everyone to take four jumps left and four jumps right which created a packed and uncoordinated mess to her mischievous grime sound. After Lady Leshurr things turned a little calmer with rock stalwarts British Sea Power and Frightened Rabbit providing sets that were both in their own ways graceful and emotional. In many ways Frightened Rabbit was a bit like the rock version of Adele, with the same sort of funny sweary banter and love, lead singer Scott Hutchinson calling out to the people sitting on the Castle Field slope at the back: “How’s everyone doing on the hill there? You lazy shits.” By the end of their set numerous couples at the front were seen to be hugging and swaying together – showing that ultimately irrespective of the genre, music can have the same effect on people, be it Scottish guitar heroes or big-lunged mainstream singers from London. Saturday night belonged to Stereophonics though. Kelly Jones voice still sounded as strong and gravelly as it did 20 years ago and he still had the looks to make plenty of middle aged women and quite possibly a few men swoon. New song Caught By The Wind showed he could still pen a good tune and his husky croon on Mr Writer was surprisingly powerful. Hit followed hit and the band even threw in a medley of covers to show some of their early influences which included AC/DC, ZZ Top and Springsteen. Ending with a trio of A Thousand Trees, The Bartender And The Thief (which included a nod to Motorhead’s Ace Of Spades) and arguably their most popular tune Dakota then confetti canons and fireworks, Stereophonics could rest happy with a job well done. It was a masterclass in how to do a crowd-pleasing festival set. Sunday started with a clutch of relatively new acts. Portsmouth’s answer to Beyoncé, Mollie Scott and her band played a sun kissed r ‘n’ b set amongst the hay bale seats of the Acoustic Stage, whilst Chippenham five-piece Bad Sounds found that their name would come back to haunt them as they suffered from pretty bad sound on the Castle Stage, meaning that their sample based grooves got lost a little. Later in the day the Isle of Wight’s Lauran Hibberd continued to impress with a set of stripped back quietly charming folk pop, noting to the crowd that due to her positioning on stage she was getting a nice sun tan on just one leg. A song called I'm No Good (clearly incorrect - she was) had a lilting country tilt reminiscent of Caitlin Rose and sounded perfect for the lazy tea hazy sunny late afternoon slot. Another Portsmouth act Jerry Williams played her second set of the weekend on the acoustic stage drawing a big crowd with a set that included old songs and some impressive new ones that suggest that her fan base is going to get even better over the next year. Soul-pop singer Raye also brought in the numbers on the Castle Stage, but there was a sense that despite her clear vocal talents and enthusiasm from the audience she’s yet to develop the depth of material to match some of her contemporaries. Slaves attacked the main stage for three quarters of an hour of punk brutalism, noise and some funny chat in between. It’s wasn't their first time in Portsmouth, having played a small pub in Southsea Fest in 2014 and the Pyramids centre in 2015 as part of an NME tour. Introducing themselves as ‘a two-piece boy band from the garden of England’ they went on to explain that they’re a two piece because nobody else wanted to join. Their set might have sounded as damaged and violent as you’d hear all weekend, but there was a lot of love from the band as well – asking stage security to give each other hugs and checking when a girl was pulled out of the crowd that she was OK.
Sunday at Victorious wasn't all about new music though. There were plenty of old stagers on hand to deliver the goods. The Dandy Warhols looked every part the rock band, various members sporting beards, long hair and keyboard player Zia in a ‘global citizen’ t-shirt. They were another band not afraid to wheel out all the old favourites such as Not If You Were The Last Junkie On Earth and Bohemian Like You and their sound was perfect; the guitars were dirty but you could still hear the space and intricacies within the noise. “That was f*ckin’ great,” lead singer Courtney announced at the end. He wasn’t wrong. Franz Ferdinand is another blast from the past whose jerky, stylish indie disco sound succeeded in bringing the stomp to Pompey. A closing trio of Take Me Out, Darts Of Pleasure and This Fire were enough to make even the most cynical new music fan admit that those songs from 2003/4 still sound a lot better than most indie rock records released in 2017. Closing Victorious there was a definite musical split between the two main stages. Olly Murs kept a younger and more mainstream crowd happy, whilst the rest of us enjoyed the serenity and beauty of Elbow. Guy Garvey might look like your dad or geography teacher, but he has an entertainer’s charisma, encouraging the crowd at one point to create a ripple like effect through the audience with a reverse wave and chatting between virtually every song. His voice was beautiful, his band’s sound soothing. A majestic and closing One Day Like This expressed the atmosphere perfectly; the screens to the side of the stage capturing the image of someone in the crowd on someone’s shoulders being visibility moved to tears from the beauty of it all. “It’s looking like a beautiful day,” Garvey and the crowd sang together. It was more than that. It had been a beautiful weekend. It’s not until about two minutes and fifteen seconds into Canadian newcomer Boniface’s debut song that you’ll probably find yourself turning the dials up to maximum. I Will Not Return As A Tourist starts as a pleasant enough singer-songwriter soft-synth effort with a meandering and pictorial storyline, but if you think that’s your lot you’re very much mistaken; because before you know it someone finds the musical version of a confetti canon, pulls the trigger and we’re suddenly all lifting off to planet rave, high fiving on the glories of being alive. There’s not much of a back storey with Boniface at the moment – all I really know is that he takes his name from where he grew up, that he appears to be a wearer of sensible pullovers and that this song is about drifting around and wanting to be a participant rather than an observer in this big thing we call life: “I can’t keep up with my mind, it’s always rushing to the next love, but when I return I swear it will not be as a tourist.” It’s released today via paradYse/Transgressive. An alluring and curious pop song. If there’s one thing I know about Brighton’s Salt Ashes aka Veiga Sanchez is that the woman has exceptional taste. Of course, in reality ‘exceptional taste’ means ‘similar to mine’. On her Facebook page she lists her influences as Giorgio Moroder, Change, Daft Punk, Linstrøm, Todd Terje, Aphex Twin, Bjork, Depeche Mode, Kate Bush and Radiohead. That’s a very fine list. OK, I’m deducting half a mark for Radiohead, simply because since In Rainbows in 2007 Thom Yorke and co haven’t done anything that’s really moved me other than want to take a sh*t, but still 9.5 for musical compatibility is still very good. It therefore comes as no surprise to find that Veiga’s own music gets my approval, particularly on racy new release Wilderness, a tune about the recklessness of love – falling deep and losing your mind. Imagine Kylie Minogue if she was still producing music that was relevant and club ready in 2017 and you wouldn’t be far off. 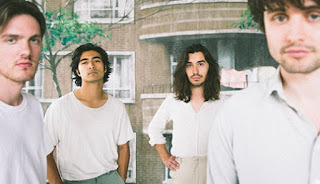 Originally taken from Salt Ashes 2016 debut album, the song is now accompanied by a video that depicts the pushes and pulls of a relationship and how the cracks can show and then be covered again through that strange little four letter l-word. If you're feeling Salt Ashes a bit more than you feel Radiohead, then may I recommend that you get down (the emphasis on getting down - bring your sparkly disco shorts) to Heaven in London on 6th December where Salt Ashes will be joining an excellent supporting bill to Femme that also includes Ronika and Elle Exxe. We can all have a dance then can't we? One of the success stories of the UK festival market over the last few years has been Victorious Festival. Set in Breaking More Waves home city of Portsmouth it started from relatively humble beginnings in 2012 under the name Victorious Vintage in Portsmouth’s historic dockyard with top of the bill names including Dodgy and The Lightning Seeds, before increasing its capacity and transferring to Southsea Common in 2014 where Dizzee Rascal and Seasick Steve headlined. Since that time Victorious has expanded further. With a clever policy of booking top of the bill acts that were once able to headline much bigger festivals, but have arguably dropped in their status a little since their halcyon days but still remain popular, Victorious has been able to maintain a value ticket price by selling at high volumes compared to other festivals (early birds this year were £20 for the Friday and £25 for both Saturday and Sunday). It is essentially the Primark of music festivals, – but it’s a model that works and Victorious has been able to establish itself as a strong competitor in the fierce festival market at this time. Despite the success there have been criticisms of the festival as well, namely that it has damaged the local music scene with local venues struggling to sell tickets during the summer as people become used to paying such low prices for big names, that the festival doesn’t pay many of the local artists that play to keep ticket prices low and that this year the event has been sold to Global Entertainment who are now the major stakeholders. Global’s reputation has taken a bit of a pounding this year having taken over Y-Not festival which had a number of organisational problems in relation to security, site layout and dealing with the bad weather it experienced; much of this has been attributed to cost cutting by Global, although this hasn't been proven. However, there is no evidence as yet to suggest that the sale of Victorious will lead to a similar drop off in quality. One new addition to Victorious this year is the opportunity to camp as the festival now attracts more and more people from outside of the local area. 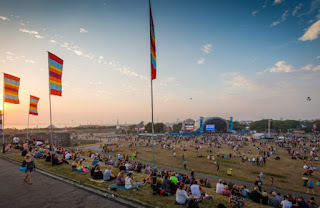 The festival campsite will be off site in Farlington in the north of the city, with a bus service being provided for ticket holders to get to the event on Southsea Common. 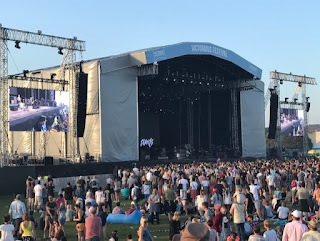 This year Victorious Festival is headlined by Madness, Stereophonics and Elbow but elsewhere there’s some oddball eclecticism; there probably aren’t many festivals where British Sea Power, Frightened Rabbit and Band of Skulls are followed on stage by Rita Ora. Here at Breaking More Waves, what is important are the newer and lesser known acts at the festival. Here are 5 recommendations from lower down the bill, many of whom will be familiar to regular readers of the blog – unfortunately 2 of these do clash, so I’ll be flicking a coin between Lauran Hibberd and Rationale. It’s been a huge year for Portsmouth’s very own indie pop queen with well received sets at the likes of Great Escape Festival and V Festival, getting played on daytime Radio 1 as a BBC Introducing artist and her song Mother hitting the 4 million plays mark on Spotify. This weekend she plays two homecoming shows as she continues to establish herself as one of the most successful singer songwriters to come out of the south coast city for a long time. 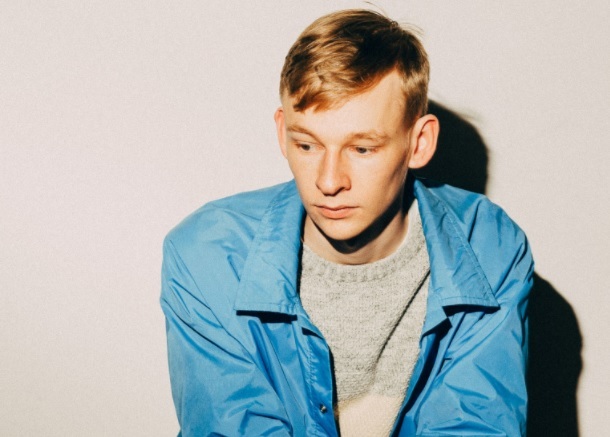 Expect catchy pop tunes with an indie pop sensibility. Boy oh boy, Jerry will no doubt be glorious at Victorious. Hip hop beats, samples, grooves, the funk, tech-savvy coolness and songs that manage to throw the words oesophagus and rhinoceros in the same line. What’s not to like about that? They’re on very early in the day so could probably do with every single ounce of support they can get. If you like Beck, Len or EMF this band will be for you. This recommendation is a bit of a gamble as Fjokra is an act I haven’t seen live yet. However, Breaking More Waves has past history with this band having selected them as one of its nominations for the Glastonbury Emerging Talent longlist back in 2015 where I was impressed by the potty explosion of ideas in their music. Whether it will make any sense live remains to be seen, but I’m recommending Fjokra on the basis that their bonkers pop might just be worth a gamble. As a plus they are playing the seaside stage, the weather forecast looks optimistic and so it might just be a great place to hang out mid-afternoon. The Isle of Wight’s Lauran Hibberd is playing one of the smaller stages at Victorious, before she transfers to the largest at Bestival in September. Why should you catch her at Victorious? The answer is simple. Great acoustic folk pop songs and an enchanting voice, plus she’s a performer who seems to really enjoy playing her songs and that delight will transfer to you. Have a break from the bigger stages and witness her talent. Rationale, the Zimbabwe-born British singer-songwriter, first appeared on this blog in 2010 when he was performing under his real name Tinashé. Fast forward to know and after a slew of great singles including Fast Lane, Re.Up, Prodigal Son, Fuel To The Fire and Loving Life over the last couple of years, Rationale is ready to release his debut album in October when he’ll be back in Portsmouth playing the mighty Wedgewood Rooms. His live performances are slick and seductive - highly polished soul pop with modern production that deserves your attention. Victorious takes place this weekend 25th Aug to 27th Aug. Some tickets are still available as this article is published. Click here for tickets. One of the greatest things about music is that, as a listener, every time you feel that the sonic train has come to the end of the line and hit the buffers, with every last idea used up and spent, there’s always another platform with another train waiting to take you on a further journey of infinite discovery. Sometimes the new journey won’t even be by the same form of transport. Maybe next time it will be by sea or road or even into space, such are the endless possibilities. Hannah Peel is one of those extraordinary artists who is exploring those possibilities, her forthcoming third album Mary Casio: Journey to Cassiopeia creating parallels between the human brain and space. 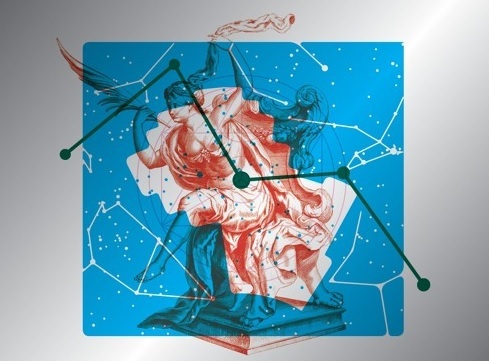 For this record Hannah undertook research spanning from conversations between the public Astronomer at the Royal Observatory Greenwich, Marek Kukula, and extensive reading of books on theoretical physics, as well as memoirs on dreams. Writing a song about being ‘in da club’ or ‘be what you wanna be’ for Spotify playlist maximisation is not what Hannah Peel is about. This is music with intelligence, thought and a graceful complexity behind it; and as we go with her on that journey Peel confirms that no matter where we travel to and what we discover, ‘we are all creatures of the land’ (A Land, Jacquetta Hawkes, 1951), and that “…in all that immensity of black holes, supernovas, galaxies, nebulae, the most astonishing and the most complex natural object we have discovered in the entire universe is right here on earth, it’s in our heads, it’s the human brain” (Marek Kukula, May 2017). Archid Orange Dwarf is the second song to be taken as a single from the album (the first Sunrise Through The Dusty Nebula I featured here). It’s a hugely evocative instrumental piece that combines analogue synths and brass with startling effect and gives reason to quietly start whispering the words masterpiece as you step into Hannah's rocket to fly. Just beautiful. Listening to all of the Spotify UK New Music Friday playlist can at the best of times be quite an endurance test even for the most hardened of new music fans. However, this week there’s plenty that hits my buttons marked ‘Quite Good’, ‘Very Good’ and ‘Excellent’ amongst the dirge; a couple of those songs I’ve already posted (Pale Waves yesterday and Flyte earlier today) and there’s also the likes of Fickle Friends, Off Bloom and Anna Of The North that could all have all easily have found their way onto these pages. One of the most intriguing songs on the list is right near the top. Alongside the as usual commercial high fliers such as Justin Beiber and Miley Cyrus you’ll find the name Maisie Peters. 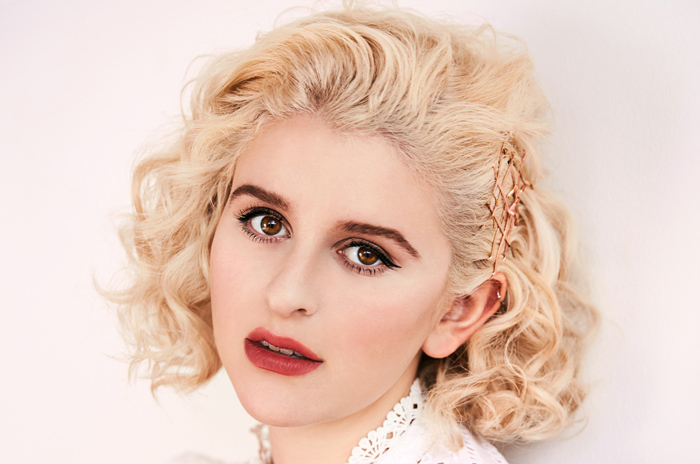 Maisie describes herself as a 'singer songwriter from Brighton who likes writing songs with too many words in them and prefers the term vertically challenged'. Yesterday 17 year old Maisie picked up her AS-Level results (she got 3 As) and today she releases her debut single proper after a few years of developing an audience through You Tube. If you like early Kate Nash you're almost guaranteed to like those You Tube tracks such as Maybe (below) and Over You. The single Place We Were Made sounds like a breath of fresh air amongst the paint by numbers pop of much of the rest of the New Music Friday list. It's a delightful and evocative acoustic piece which finds Maisie singing of teenage life in a small town; fake ID, stealing gin from a friends dad, talking about boys, fires on the beach. There's still a hint of similarity to Nash's songwriting here, but Place We Were Made veers off in a folkier direction that defines Peters as very much her own artist. Here’s another old song that has become a new song, released today. Faithless by Flyte first got a mention on Breaking More Waves back in 2013. This is what I wrote at the time as I introduced them: “Here’s a band who know how to write a real corker of a tune, with all that basic stuff that so many bands forget; great melodies, harmonies, variety and an accessible inventiveness that draws you in further. We hear elements of Tom Petty, Orange Juice, Roy Orbison and Talking Heads in what they do, as well as The Beatles in this gorgeous song called Faithless.” Ah yes, the days when I used the royal 'we' even though it was only me and then realised that was a bit weird. Quite why Faithless has taken so long to get an official release is beyond me. (Possible answer – the music industry is a bit useless – but I’m sure there’s a better reason than that). Anyway, better late than never. Take a listen to Faithless below. It sounds utterly out of time and out of place with most modern music, and is so much better for it. What a song. On repeat x 1000. 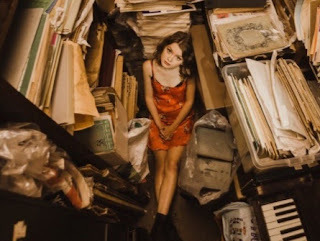 Appearing on streaming services today with no fanfare pop singer songwriter and long-time Breaking More Waves favourite Alice Jemima returns with a new song. Of course, what is new to the casual listener often isn’t new to the fan, certainly I’ve heard Alice play this one a number of times live. Home wasn’t featured on Alice’s debut album, but this is far from some cast off / b-side material; with its hook that seeps softly into the brain and slinky mix of electronics and indie guitars that Alice does so smoothly and so well, this is as good as anything else she has released. It also does that classic singer-songwriter trick of opening the song with the line that will eventually become the chorus to place it immediately in your head even before you even realise that it is the chorus. Sneaky. Alice has been playing a number of UK festivals this summer including Secret Garden Party, Boardmasters and Camp Bestival with The Big Feastival being her next stop. If you were to eat a piece of cake and the first slice tasted delicious you’d probably be tempted to have another. But would that second slice be more enjoyable, less enjoyable or about the same? And if you enjoyed it just as much, would you eat another slice and then keep going, slice after slice until you had eaten the whole cake? 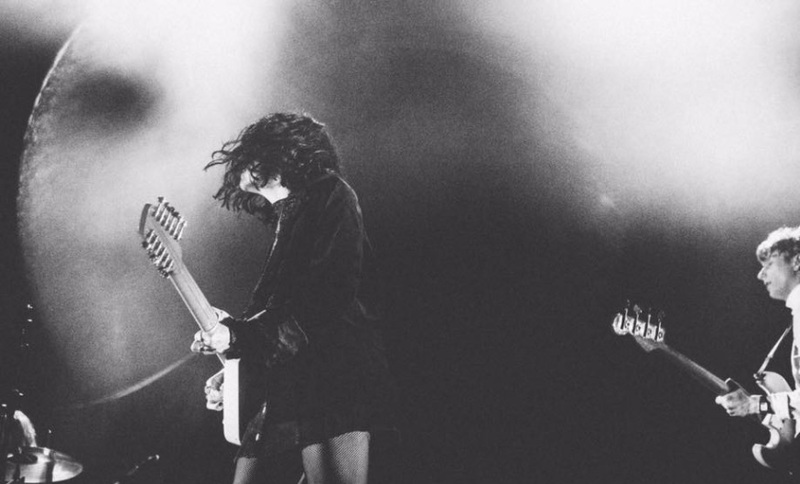 It’s a bit like that with the new Pale Waves song Television Romance for me. I really liked their previous tune There’s A Honey; it was an extremely hooky piece of indie pop. But.....Television Romance sounds an awful lot like that, particularly the chorus where you can virtually sing the chorus of There's A Honey over the top of the song and it doesn't sound wrong. So in theory I should like this just as much. But it's a dilemma. Because is that second slice really as good as the first? If I'd eaten the second slice without tasting the first it would have definitely been superb. What I'm trying to say (badly) is that our tastes and perceptions of music are affected by what has gone before. It's not quite as simple as just listening to every song in isolation. Let's continue this idea forward. What if the band released a whole album of songs that sounded very similar? Would I like that? Probably not. For me it's why a band like Oasis became ever less exciting with every album and why David Bowie always kept my attention. If music is the food of love, give me excess of it, but make sure that it continues to interest me, challenge me and take me to new and exciting places, otherwise eventually the appetite will die. So that’s a thumbs up for Television Romance,it is ultimately a good song (and yes, like the previous tune it sounds a lot like The 1975 version 2.0 / rebranded), but there’s going to have to be more variety in the future to keep me engrossed. I’ve always been a fan of groups of musicians who look the part. Bands not bland please. Some groups forget this. When you record a song you’re a musician, but once you go on stage you’re a performer. All the great bands have great songs, sure, but live they have identity and personality as well. Dream Wife seem to understand that. Their shows are fierce; lead singer Rakel prowls the stage with a look that seems to vary from contemptuous menace to knowing cool whilst Bella and Alice pummel their instruments with a real intensity and enthusiasm. They look like a unit, ready for war. I certainly wouldn't want to pick a fight with them, OK I wouldn't pick a fight with anyone, I'm a lover not a fighter, but you understand what I mean I'm sure. For those who have been to a Dream Wife gig, new release Fire will already be familiar. It’s all about that surge, that rush, that emotion, that moment of connection, about dancing, screaming and holding each other tight. Of course, fires don’t last forever but let's enjoy the heat whilst it lasts. Three and a half minutes of edgy indie-art-pop that burns with a spike. Dream Wife will be back out on the road this October. Dates can be found by clicking here. Fire will form the lead track of a new EP released on 29th September which will include three remixes of the song as well as previously released track Somebody. With a pristine and skeletal electronic production, a simple yet visually compelling video and a soothing vocal delivery New York singer Morgan Saint introduces herself to the world via her tender debut single You. It’s a pop song, but one of those pop songs for people who say they don’t really like pop music. Yes, it’s a little bit cool, with that coolness created through a minimalist backing that sounds effortless. That’s not to say that You was knocked out in five minutes, with no effort whatsoever, because Morgan needed to nip out of the studio for a pizza and a couple of beers; but sometimes making something sound so easy is actually hard work. “I could be looking for you, in all the wrong places,” Morgan sings and as she does so the song reminds me a little of early Jessie Ware or Kacy Hill. Not bad acts to be compared to. You is taken from Morgan’s debut EP 17 Hero which will see the light of day soon. Pop music is an odd beast sometimes. There’s a lot of stuff that goes on behind the scenes that we’re not aware of. That seems to be the case with Mausi. Back in 2014 the group seemed to be on the cusp of something. Their hedonistic pop banger My Friend Has A Swimming Pool was getting quite a few people (including me) deliriously tipsy and as the track moved from online buzz to picking up some radio play it seemed almost inevitable that the house of Mausi was going to need a big extension. Or at least a loft conversion. So here we go with chapter 2. 3 years on and Mausi return with Famous. Don’t worry Mausi fans, they didn’t go away and rediscover themselves as new age hippie types playing soothing acoustic folk music. No. Famous makes it seem like those last 3 years (Trump, Bowie’s death, Brexit, Prince’s death, the Brangelina break up) never happened. Famous is another banger, that heads to the clublands with a full on hands in the air joy. “One day we will all be famous,” is the hook line, which when you think about it, isn’t really possible is it? But who cares? Pop music has never been just about reality. This lie will make you feel good. Lauran Hibberd is blessed with one of those voices that just cuts through. Whether she is playing solo acoustic or with a full band, as she dissects her words, her vocal beauty is just instantly recognisable. It's for that reason (as well as having great songs) that I’ve been championing her a number of times on Breaking More Waves. 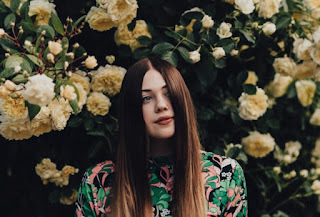 Lauran’s new tune Old Head Young Shoulders might start quite gently, but it soon unzips itself to reveal a buoyant and hugely enjoyable indie folk pop song. Once up and running it sounds like Lauran has been studying Usain Bolt, hammering along at some pace, although thankfully it doesn’t do a sub 10 second finish. Watch out for when the instruments drop and just the beat remains – live it’s sure to be a clap-along-with-Lauran moment for sure and the song as a whole will probably produce some twitchy shoulder, jerky arm dancing from the audience. Lauran plays a gig in her homeland of the Isle of Wight this Friday as part of the Ventnor Fringe Festival, which is sold out. She will also be playing in Southsea, Portsmouth for Victorious Festival and at Lulworth Castle for Bestival in the next few weeks. Here is a pop song that will make you want to stand up and cheer. And then have a crazy little boogie afterwards. When Gabrielle Aplin utters the words: “I don’t see you like I used to, now I’m going back on the things that I know,” she might be singing about a relationship but then she could also be singing about music itself. But of course music is all about the relationships we have with it anyway, so all of these things are entwined aren’t they? My relationship with this one is easy. It’s love at first listen. It’s like dancing on the clouds. It glides in from the heavens with pulses and hooks and melody and just makes everything about pop music seem worthwhile. It’s a song that will make you, like me, feel happy punch the air and shout YES! Well done Gabrielle Aplin. Well done pop music. 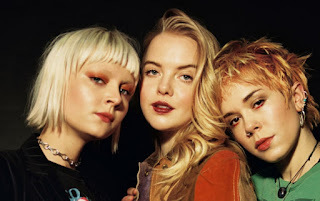 The chances are that if you are based in the UK you’ve already heard Hannah Grace’s reinterpretation of Fatboy Slim’s Praise You, which in turn was derived from a sample of Take Yo’ Praise by Camille Yarborough. That’s because the song has already been featured on a TV advert for a bank and has also played out on BBC coverage of the 2017 London 2017 World Athletic Championships. 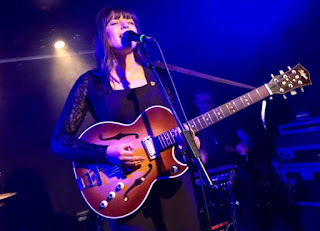 Regular readers of Breaking More Waves also might be aware of Hannah’s music before that though as in 2016 I posted her gutsy, gritty punch of a song Mustang taken from her EP of the same name. This version of Praise You is radically different from both the Brighton Big Beat DJ’s dancefloor filler, but maybe the cover isn’t as surprising as you’d expect – after all Hannah’s exceptional vocal is rooted in gospel and soul and she has also worked with Breaking More Waves regular Gabrielle Aplin, who also benefitted from gaining a wider audience with a piano cover version that became a TV advert (her version of the Power of Love). However, despite the TV advert, the connections to Aplin etc, what really matters is the quality of the music and this version of Praise You is flawless; the vocals, the arrangement, the mood. Everything is just perfect. So, whilst in my country this cover may not be new to you, this is the world wide web and hopefully this post will bring Hannah’s take on the song to the attention to at least a few more people.